Tel. : +34 93 434 44 12. According to the current law on personal data protection, Marketing Farmacéutico & Investigación Clínica, S.L (from now on, MFAR) informs the User of the existence of an automatic database with the personal information you could provide while visiting our site (at the moment of your registration or send a form, make any inquiries, comments, request for services or apply for jobs and careers), with the aim of attending your request, so as sending information by any means, including e-mail and/or equivalent on products, services, offers, notifications, campaigns, news and newsletters. In case of communications sent by e-mail or equivalent means, you are allowing us to send publicity by this same means. On data forms, the fields pointed with an asterisk are obligatory. In case the User does not fill in this fields, the request may be declined. 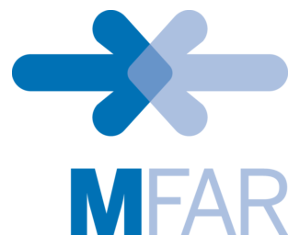 The User can revoke the consent and exercise the rights to access, modify, cancel and reject with a written communication o MFAR, at the address C/ Secretari Coloma, 64-68, esc B, Entlo 5ª 08024 – Barcelona, or by e-mail to info@mfar.net.